Welcome to the Y.A.C.H.T. Young Amateurs Communications Ham Team Club Website! Check back often, as this site will be updated regularly... you don't want to miss anything! Our purpose is to expand horizons in the field of communications along with general and advanced ham radio techniques, and to foster a greater appreciation of the role they play in the overall hobby of amateur radio, as well as giving kids a challenge and enjoyment. We have over 200 members in 34 states and 4 countries. Come sail with us, and join our EchoLink nets. 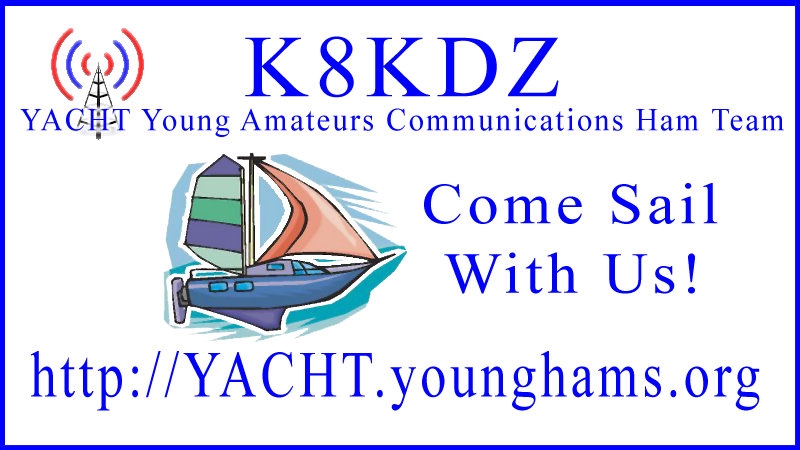 Keep YACHT a "force" in the field of youth ham radio. Sterling Coffey N0SSC gave a presentation on Youth in Amateur Radio at the St. Louis Winterfest on January 28, 2017 at 11:30am CST. to Call "CQ Winter Field Day"
Faith Hannah AE4FH demonstrates the voice recorder function of the ICOM IC-7300. For more videos from the Ham Radio World Club WK1DS, visit their website at http://hamradio.world.